This month has been a better one for me, and possibly a better one for epilepsy in general. One main talking point was revealed last month, but only after I released The Epileptic Man’s news for April 2018. I wouldn’t want to miss it out though; it’s an important point to pick up. A talking point I’m choosing to mention here is that research has taken place. The possibility of new treatment has once again been developed. Just click the links below if you want to know more about how people may be able to treat intractable epilepsy or blood-brain barrier dysfunction in epilepsy. I haven’t forgotten about Alfie Dingley either. The latest article I found about him was written on 9 May. It tells us that Alfie could have access to cannabis oil treatment in four weeks. Why ‘could’, and not ‘will’? I just don’t get it but wish that kid all the best. Anyway, what else has been happening this month regarding epilepsy? To protect public health, the license for valproate medicines has finally taken a change. As you probably remember, the drug can potentially lead to disabilities for children if taken during pregnancy. 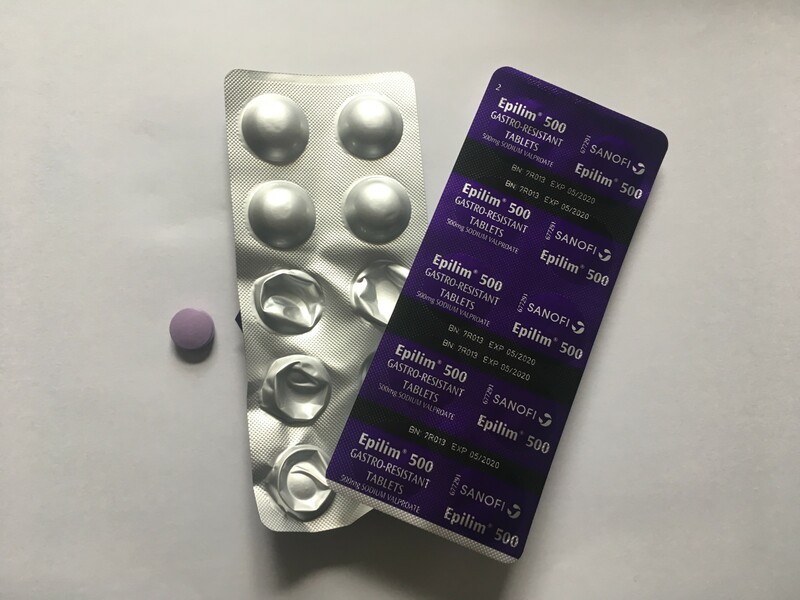 An Anti-Epileptic Drug, valproate brand names include Epilim, Depakote and has other generic versions. It’s currently the third most prescribed AED. However, issues that can arise haven’t always been highlighted by healthcare professionals. Recently, this led to campaign groups bringing the issue into the spotlight. Finally, the Medicines and Healthcare Product Regulatory Agency (MHRA) has made a change to protect children from disabilities when born. So, what is the ‘PPP’? The PPP is the “pregnancy prevention programme”. Women who could potentially become pregnant when taking valproate must now enrol in it. The PPP includes an annual medication risk review with a specialist to ensure they understand the need to continue using contraception while on the drug. They also have to undergo pregnancy testing, and an acknowledgement to state that they understand the risks of valproate. Along with epilepsy, valproate is also used as a mood stabiliser for conditions like bipolar disorder and depression. Since first introduced in the 1970s, approximately 20,000 children in the UK have been born with disabilities. Around 40% of birth mothers taking valproate have children with developmental disorders. Plus, one in 10 cases leads to a more serious disability. Y’know, I wasn’t aware of any global attempts currently taking place to help deal with epilepsy. But the World Health Assembly is meeting this month to sustain much needed progress. A three-year project looking to improve the lives of people with epilepsy has been underway since 2015. However, Devex.com’s editor backed up my assumption that not enough work has taken place. I’m sure many of you know that more than 50 million people have epilepsy worldwide. It’s also the most common chronic neurological disorder. More people have epilepsy than HIV/AIDS. And no, people so often don’t know enough about it. Work needs to be done. I wish to credit the editor of Devex. He did a great at labelling the three areas of focus: leadership and governance; awareness raising and advocacy; and, of course, care. Epilepsy is a huge problem that needs to be managed, and obviously, I’ve talked a lot about it for around 12 months now. But I want to help more people out. I’ve got another plan, but you’ll have to wait a while for that one. I’m picking up more skills on the side of my employment, and when ready, will explain to you all what I’m looking to do. I very much recommend checking out the article. I’ve got it bookmarked. It labels the factors that need to be improved to make lives for people with epilepsy better. Want to know more about the history of epilepsy in a leisurely way? Then why not think about taking a look at the Embroidered Minds Epilepsy Garden in Chelsea? 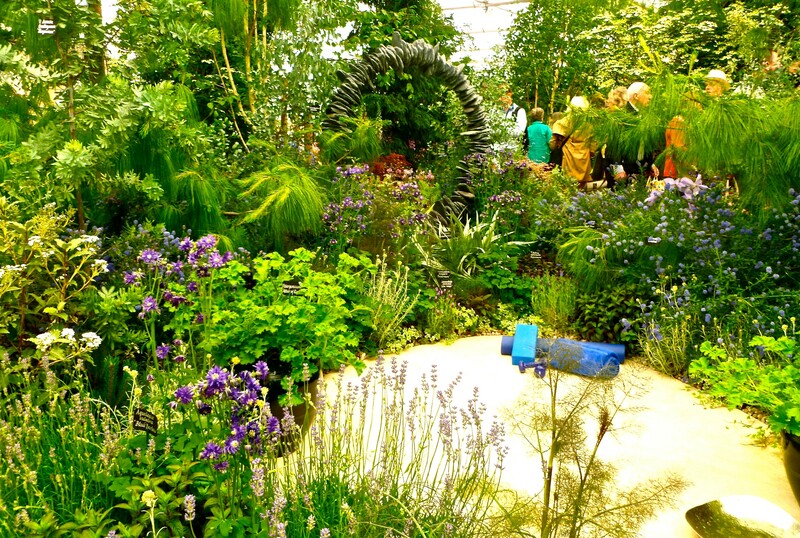 The garden is one of the Artisan Gardens at the RHS Chelsea Flower Show this month. It has three sections, and one each represents a different lived experience of epilepsy. First, the calm pre-seizure mind; second, the chaotic state of the brain during seizures; and lastly, the cumulative effects of unusual neural connections after living with seizures for a long time. If you’re unaware of the story Embroidered Minds of the Morris Women, then I can tell you that it was part one of a novel written by Leslie Forbes. Her plan to write the novel came to life via her knowledge of a true story that took place in Queen Square. It all happened back during Victorian times. Back in that period, nobody truly understood epilepsy. Jenny Morris was a real woman who gathered the condition. She was inserted into the National Hospital for Paralysis and Epilepsy. The hospital was a place that was adjacent to the Morris family’s factory and showrooms. However, despite her father writing her hundreds of letters over the many years she spent in the hospital, her letters sent to him never arrived. At that time, epilepsy was wrongly frowned upon, and there’s no way to gather the letters she sent. Today, it’s believe that the letters she wrote to her father were destroyed. Many of the characters mentioned in Leslie’s written novel are fictional. However, the plot of the novel is written around a logical possibility of how many women may have felt at that time. Some of the doctors mentioned did practice at Queen Square, the central location that indeed exists. Various characters also dip in and out of what is known about the experience of many women. And also, the letters on pages 47 and 55 also use original documents from an era when great stigma surrounded epilepsy. Leslie wrote four-award winning travel books and two international bestselling novels: Bombay Ice and Fish, Bone, & Bone. However, the author, unfortunately, suffered from epilepsy. It 2016, she sadly passed away after a seizure at the age of 63. Leslie intended to move further forward with a collaborative project, and nearly two years after her sad passing, friends and colleagues have managed to present the Epilepsy Garden this month. Inside the garden, there’s a vertical living wall referencing William Morris designed surface patterns oak bench, tiled path and foreground planting. However, these are disrupted by a seizure that is represented via planting. The vitality of the post-seizure section also reflects the hope for a brighter future for people with epilepsy and their families. The Embroidered Minds Epilepsy Garden was sponsored by the Epilepsy Society. You can get a more thorough understanding of what the garden and story is all about by heading to embroideredminds-epilepsygarden.org.uk and embroideredminds.co.uk. If I’ve missed something important out this month, then I apologise. But right now, I’m just getting used to the mixed status of blog writing and employment. From Wednesday to Friday, I was walking quickly around Bolton, trying to sign people up for Barnardo’s charity, and doing around 20,000 steps per day. I’ll be doing the same from Tuesday to Friday this week as well, and the same routine for a while after that too. My new colleagues have told me it gets easier over time. But I have fatigue, and resting up after my first week was pretty important. Thanks for reading; I wish you all the best.